Joni Mitchell isn’t on any ballots next week, though fans still can show support. 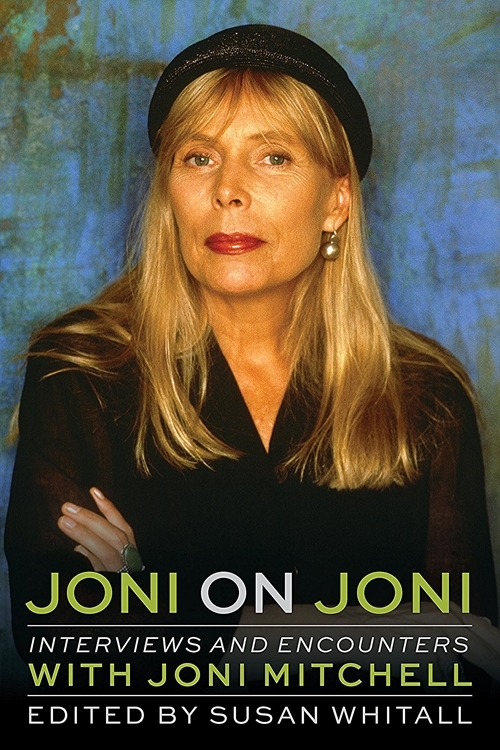 Election Day is publication day for “Joni on Joni,” a collection of “interviews and encounters” curated by Susan Whitall, a sage of Detroit music journalism. Her 416-page hardback, coming out a day before the legendary singer-songwriter turns 75, has 27 selections spanning 48 years. "There is nobody quite as frank as Joni, and she is talking about everything here," Whitall posts early this year. Though it mostly chronicles the artist's Laurel Canyon glory years in Los Angeles and her later jazz explorations, the anthology is grounded here. The future star -- Joni Anderson from Fort Macleod, Alberta -- met Detroit folksinger Chuck Mitchell in spring 1965 at a Toronto club. The Detroit journalist's book comes out Nov. 6. "After a whirlwind courtship, they married in June at his parents’ suburban Detroit home and she moved into his apartment in the inner city," Whitall writes in a seven-page introduction. They lived at Verona Apartments, still open on West Ferry Street as The Verona. 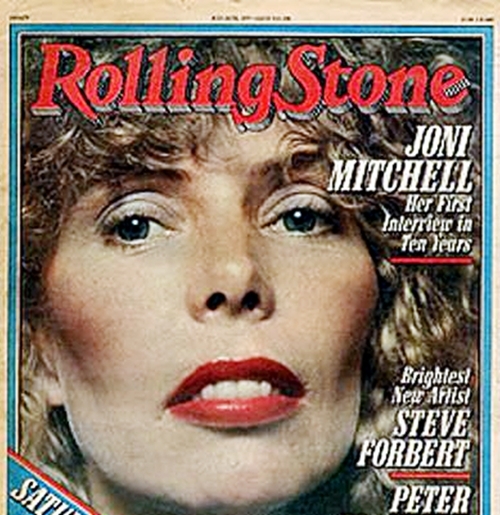 Joni has said many caustic things about the marriage and about Detroit, . . . but the close to three years she spent in the Motor City with Chuck was when she found her voice as a songwriter. Such early songs as "Both Sides, Now" and "Circle Game" sound as if they were written under endless prairie skies or in hippie California, but it was in gritty Detroit that Joni scribbled their lyrics in a coffee shop. (A waitress advised her, just before the 1967 riots, that it wasn't safe for her to go there anymore.) Some of those songs, among the most iconic pop/folk anthems of the 1960s, were transcribed by a jazz musician with Motown credentials [Thomas "Beans" Bowles]. . . . The couple recorded several numbers at the Jam Handy studio on West Grand Boulevard in Detroit, produced by Chuck's father, Scott Mitchell, who worked there. This is the third book on music and cuture by Whitall, who was born in Philadelphia and grew up in this area. 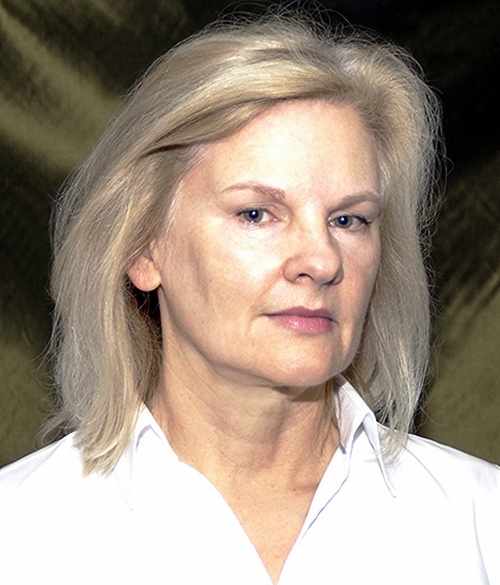 A journalist since the mid-1970s, she was the first female editor of Creem magazine (1976-83) and produced a who's who of music coverage during 33 years at The Detroit News (1983-2016). Her byline still appears there, notably as the main writer for an Aretha Franklin tribute section in August. ♦ Meet the writer: Five local appearances are listed below. "One of the defining voices of the West Coast folk rock scene." "The effortless way she could define a cultural moment with a lyric." "You can hear her dancer's love of rhythm." "One of the most important songwriters of the 20th century." Whitall also writes knowingly about how "the male-dominated music industry tried to box her up in a more acceptable, understandable feminine personna" -- an observation also relevant to journalism back then. The chronological collection of articles, interviews, broadcast transcripts and appreciations ends four years ago because health issues, including post-polio syndrome and a 2015 brain aneurysm, muted Mitchell's voice -- literally for a while. The woman who's still the lady of the canyon to a generation now uses a walking cane and hasn't spoken to the media in recent years -- "which makes every past interview she's done all the more precious," writes the editor who gathers and annotates them. Whitall's sweeping collection for Chicago Review Press starts with a pair of Detroit News pieces from 1966 and closes with a PBS interview by Tavis Smiley in 2014. Reprints include six from the United Kingdom, three from Canada and one from Germany. The Daily Mail, a London paper, says the book has Mitchell's "most illuminating interviews." BookTrib, an industry site, recommends it as "a good pickup for Joni fans and music aficionados." The 31-page tenth selection is particularly notable -- the first anthology appearance of a 1979 Rolling Stone cover story by Cameron Crowe, a former Creem contributor who went on to write and direct "Almost Famous" (2000). "After Crowe profiled her," Whitall writes, "they forged a friendship that continues to this day." Cameron Crowe's profile appeared July 26, 1979. ♦ Moving past folk music: "You have two options. You can stay the same and protect the formula that gave you your initial success. They're going to crucify you for staying the same. If you change, they're going to crucify you for changing. "But staying the same is boring. And change is interesting. So of the two options, I'd rather be crucified for changing." ♦ Exploring jazz: "I see myself as a musical student. That’s why this project with Charles [Mingus] was such a great opportunity. Here was a chance to learn, from a legitimately great artist, about a brand new idiom that I had only been flirting with before." ♦ Graham Nash: "My relationship with Graham [Nash] is a great, enduring one. We lived together for some time – we were married, you might say. The time Graham and I were together was a highly productive period for me as an artist. I painted a great deal, and the bulk of my best drawings were done in '69 and '70 when we were together. . . . I became an avid photographer [because of him]. . . . Even though the romance ended, the creative aspect of our relationship has continued to branch out." ♦ Classroom misfit: "I was a bad student. I finally flunked out in the 12th grade. I went back later and picked up the subjects that I lost. I do have my high-school diploma – I figured I needed that much, just in case. College was not too interesting to me. The way I saw the educational system from an early age was that it taught you what to think, not how to think. There was no liberty, really, for free thinking. You were being trained to fit into a society where free thinking was a nuisance." ♦ 'Art songs:' "By , it wasn’t really folk music anymore. It was some new American phenomenon. Later, they called it singer/songwriters. Or art songs, which I liked best. "Some people get nervous about that word -- art. They think it’s a pretentious word. . . .The word art has never lost its vitality. It still has meaning to me. Love lost its meaning to me. God lost its meaning to me. But art never lost its meaning. I always knew what I meant by art." ♦ Pre-recording club career: "I didn't know how far it was going to carry me. . . . I was working constantly, every night, and I was trying to build up a bank account because I didn’t think it was going to last too long. I thought I was going to have to go back into what I knew, which was women's wear. Become a buyer for a department store. But I was going to go on with it as long as I could. Or maybe go into commercial art. Whatever." ♦ Happiness: "You can strive and strive and strive to be happy, but happiness will sneak up on you in the most peculiar ways. I feel happy suddenly. I don't know why. Some days, the way the light strikes things. Or for some beautifully immature reason like finding myself running to the kitchen to make myself some toast. Happiness comes to me even on a bad day. In very, very strange ways. I'm very happy in my life right now." Nov. 4, Hazel Park: 11 a.m., Ann Delisi's Sunday Brunch, joebar, 23839 John R St. No reservation needed. Nov. 7, Oak Park: 6:30-7:30 p.m., The Book Beat, 26010 Greenfield Rd. Nov. 15, Warren: 6-7:30 p.m., Warren Civic Center Library, 1 City Square, Suite 100. Nov. 28, Detroit: 6 p.m., Pages Bookshop, 19560 Grand River Ave.
Dec. 3, Birmingham: 7 p.m., Baldwin Library, 300 W. Merrill St., with Chuck Mitchell (ex-husband).